Welcome to another edition of “8 Questions with….” a ongoing interview series here on my blog. So this interview was originally supposed to be with a Chicago based actress/production troubleshooter Mary Munez. I had sent in my questions and was patiently waiting for her to send it back. I say patiently because she is VERY busy! So it really wasn’t that big of a surprise when she sent me a message asking if I would care to interview Diana Lee Inosanto. 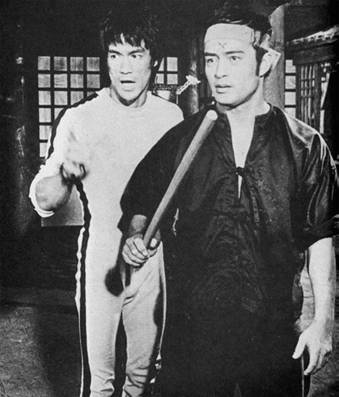 While its well known that Diana is Bruce Lee’s god daughter,maybe less known is her dad is Dan Inosanto,who fought Bruce Lee in the Game of Death and off camera was a devoted student of Bruce’s. I have always admired Dan and his work so when Mary asked me if I wanted to talk with Diana,I jumped at the chance. I asked Mary how soon would I hear back from Diana in order to get approved for the interview and Mary said,”How about right this second?” Seems like Mary was helping Diana do some PR in Chicago where a special screening of “The Sensei” was being shown. And now……8 Questions with…….Diana Lee Inosanto! 1. Why did you choose Hollywood for your career choice? I grew up around Hollywood as a small child. My father was asked to work from time to time in action scenes, and his sister, my Aunt Lilia was an actress that did plays and worked frequently in bit roles on TV. Outside of watching my godfather (the late Bruce Lee) perform in his independent films, I really had a love of the process in Hollywood. 2. 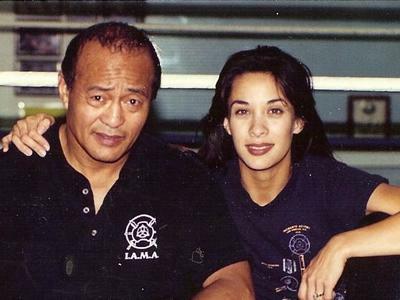 Your father,Dan Inosanto,is a superb martial artist…how did he treat you in regards to training,as a student or as a daughter? 3. Can you explain the biggest differences between Eskrima,Jeet Kune Do and Silat. Is it better to master one system then to have experience in many others? Escrima (also known a Arnis and Kali) is a Filipino Martial Art—although a lot of people associate it with stick fighting, there are other components to it—it’s elements include empty hand, knife, sword, and flexible weapons like the sarong or whip, etc. Silat is most known in the provinces of Indonesia but they have Silat in the Philippines too. Silat is a very sophisticated martial art that uses a lot of joint manipulation. It is a system that can take you to the ground, and uses a lot of grappling type movements, breaking limbs. It’s an amazing system. Jeet Kune is primarily a philosophy coined by my first godfather, the Late Bruce Lee. (I like to recognize my second godfather figure, Richard Bustillo who was also a student under Uncle Bruce) There is a martial “art” aspect to Jeet Kune Do (JKD), sometimes known as Jun Fan Gung Fu—which was my Godfather’s personal form of martial expression, and there is a philosophical aspect to JKD. Structurally, many people tend to mistake JKD for a composite style, because of its efficiency. At any given time, JKD can resemble Thai boxing or Wing Chun, wrestling or Kung Fu, or even Filipino Kali.The easiest way to explain Jeet Kune Do is in a quote by Uncle Bruce. “In Primary Freedom, One Utilizes ALL Ways, and is Bound by None and likewise uses any technique or means which serves its end.” It’s an open-minded approach to knowledge, which will never stop. 4. What does the word “bully” mean to you personally both as a martial artist and a mother? A bully can be a child, teen or even an adult—and sometimes the bully can act alone, and sometimes they try to get an entourage to cheer their behavior. A bully can intimidate and abuse an individual either physically, verbally or both which cut down the psyche of individual. What’s important for the individual, who is the intended victim of the bully, is to not believe one word of what the bully has to say or their circle of supporters. Every situation is different, and a lot depends if the bullying is happening to a minor or an adult. It’s amazing that with the Internet, the level of bullying is more pronounced and I am stunned when I read the comments of what people write—and these are adults!? 5. You wrote and directed an award winning film called “The Sensei” which addresses bullying,do you feel it has made a difference and if so,how so? I do feel it has made a difference, and I am so happy that schools of all kinds are starting to use it as a vehicle to teach about tolerance. It really is the perfect Anti-bullying film because it shows how bullying can be manifested in different ways like racism, sexism, homophobia, etc. It shows people dealing with bullying, both as kids and adults. I had one young man write a 75-page thesis on my film. It truly has been a remarkable journey, and in my filmmaker’s soul, I really wanted to make a film that could impact lives in a positive way. I’m even happy that martial arts academies are recommending my film to their students. 6. What are your favorite 5 memories with your father? Do you recall the first moment you saw him the movie screen? What was your reaction? 1. The day my mom went out of town and dad had to watch and feed my brother Lance and I over the weekend. He made pizza out of an English muffin, ketchup, topped with Oscar Meyer’s bologna and American cheese. It was the worst thing ever, and I loved eating every bit of it. (That was coupled with a 7-Up Float that he made). 2. 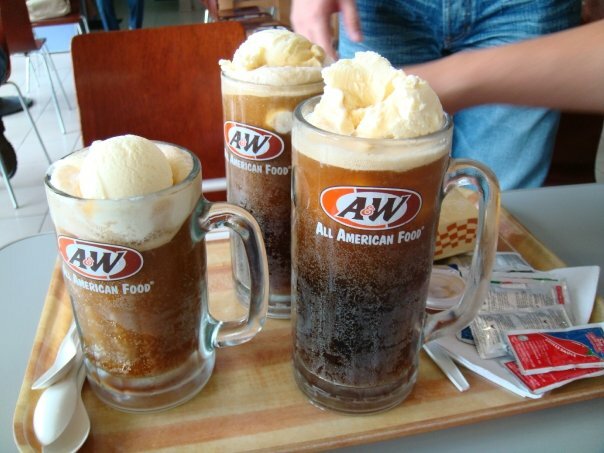 Driving to my dad’s hometown of Stockton, California and stopping by every single time, A&W’s restaurant, to grab a quick root beer float. 3. My dad trying to spank me for mouthing off at the age of 8. When he went to spank me, he went “OWWWW” and discovered that I had put a hard cover book in my pants. He really tried hard not to laugh, but he thought that was kind of smart for my age. I told him I got the idea after watching the “Little Rascal’s” on TV. 4. Talking philosophy and history on the Women Warriors of mankind’s history. 5. The day my dad realized, when I say I am going to write, direct and produce a feature film, and that I really did do it…he looked at me with new eyes. I think it cemented for him that I was truly an adult with a higher mission. He was pretty proud of The SENSEI. He cried. And watched the movie again. My reaction to my Dad the first time I saw him on the screen? 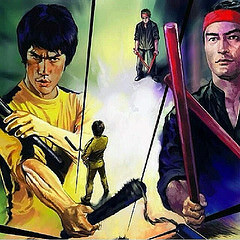 It was with Uncle Bruce and Dad in “Game of Death”. It was a bit ironic. From our backyard of them working out together, to them enjoying a fight scene on the silver screen, I thought “how cool is that!” I love how that yellow jumpsuit from their fight scene has become this iconic thing in Hollywood pictures and the Internet too. 7. Is it hard training a actor/actress for a movie role that you yourself would love to have? How do you separate that emotion as an artist and a professional stunt performer? Not at all! I want an actor or actress to succeed. In that moment, I am their teacher and they are putting all their trust in me and that’s a HUGE honor. When I teach them, I am sharing the art with them, and they get to carry a part of me with them when they do their fight scenes. I want them to have success on that screen! I am their biggest cheerleader. And when a star knocks it out of the park, I am celebrating from my seat! 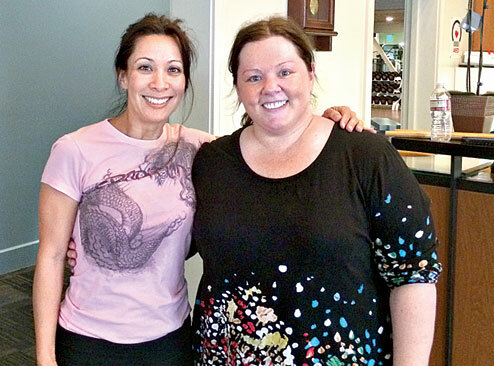 I was so proud of actors like Melissa McCarthy (SPY) and Aaron Eckhart (I, Frankenstein). I am very proud of the stars I recently worked with, Lesley-Ann Brandt and Tom Ellis, that my husband Ron Balicki and I recently trained for the upcoming FOX TV Show “Lucifer” created by D.C. Comics. There is a lot of pressure on these stars. The public has no idea. I knew of Ron’s existence for 10 years. My father would talk about him all the time when Dad had a seminar in Chicago or anywhere in the Mid West. My husband worked as a Cook County Deputy Sheriff in the Chicago area, and I remember I was considering joining the LAPD. My Dad wanted me to meet Ron to talk about the pros and cons of being a law enforcement officer. Of course, I ended up not joining. Finally, Ron moved out to California to run my father’s martial arts academy, and we both just wanted to be friends. I had a policy after one failed relationship to not date any of Dad’s students. Luckily, I broke my own rule. Ron and I started to slowly fall in love with each other. We kept it a secret for months! Coming up December 6th, will be our 20-year Wedding Anniversary. 9. What do you like to do for fun when you are not on location? How do you relax on your down time? I love doing Yoga. I love writing and reflecting on my life. I also love taking long scenic walks by the ocean or hiking in outdoor places. I am a nature lover! I also love being with my children and seeing a great movie with the family. And of course, I love curling up from time to time with a glass of milk, a Hershey’s almond chocolate bar and an awesome book. 10. 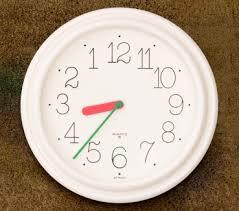 If you were given a chance to go back thirty years to redo your life,would you do so? And if you did,what would you change first? That’s hard to say. Because even though I had some painful moments in my lifetime, it’s what triggered the changes that I needed to make, in order to have the life I have today. It’s amazing how a bad experience, can later on, shape your life for a better future. I have learned from my mistakes and I am a better person because of it. In my movie The SENSEI, there is a line “Life is the SENSEI.” And I meant that because Life is a Teacher of many things, and you could choose to ignore it or you can choose to learn from it. In my circumstances, I always tried to learn from life. I am forever a student of its many teachings! Thank you so very much Diana for doing this on such a tight schedule! And a extra huge thanks to Mary for putting this together so quickly! To learn more about Diana,please visit her website:by clicking here! To follow Diana on Twitter: Please click here! Feel free to leave a comment as well!! Thanks for reading! Tags: 8 Questions with, Dan Inosanto, Diana Lee Inosanto, Game of Death, honor, Jeet Kune Do, martial arts, self-respect, The Sensei. Bookmark the permalink. Thank you Jess…..and glad you found me here….. I really enjoyed reading this interview. “Be your own best friend ” is great advice.